From the early 17th century, La Couture Boussey has been well-known for its woodwind intrument making. Most famous french woodwind instrument makers were born here: Lot, Godfroy, Martin, Buffet families, and the distinguished Hotteterre dynasty. A tradition of excellence began. The instrument makers related to La Couture, born and set locally or in Paris, were pivotal to any evolution of woodwind instruments. In the 19th century such families as Thibouville or Chedeville kept the high level of La Couture Boussey craftsmanship. The tradition is today continued by a hundred workers and four firms sending instruments all over the world. In 1888, local workers founded the Woodwind instruments Museum to promote their art. 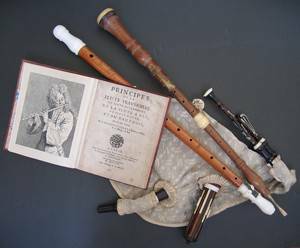 They can appreciate an invaluable collection of woodwind instruments and discover the local history as well as the history of those instruments.